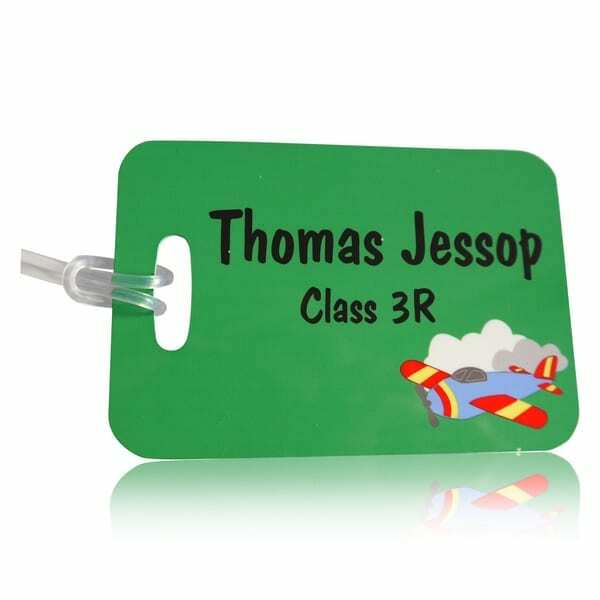 Name it Labels offers a stunning collection of personalised bag tags for all ages. If you want to something to enable super quick identification of bags then look no further. 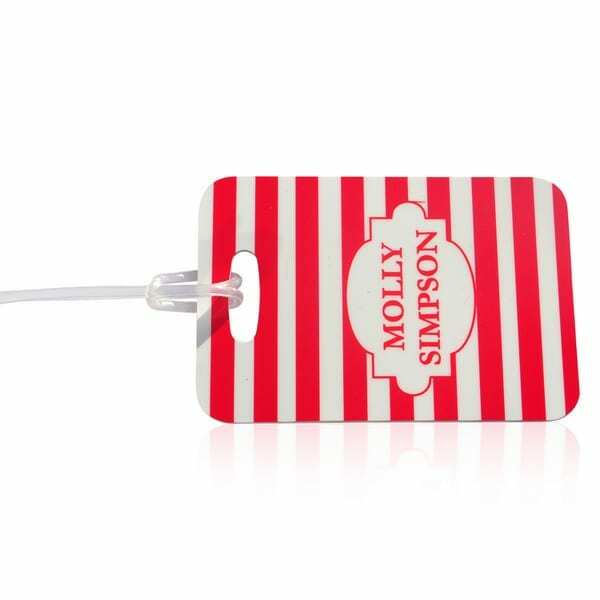 This personalised bag tag is timeless classic and suitable for all ages. 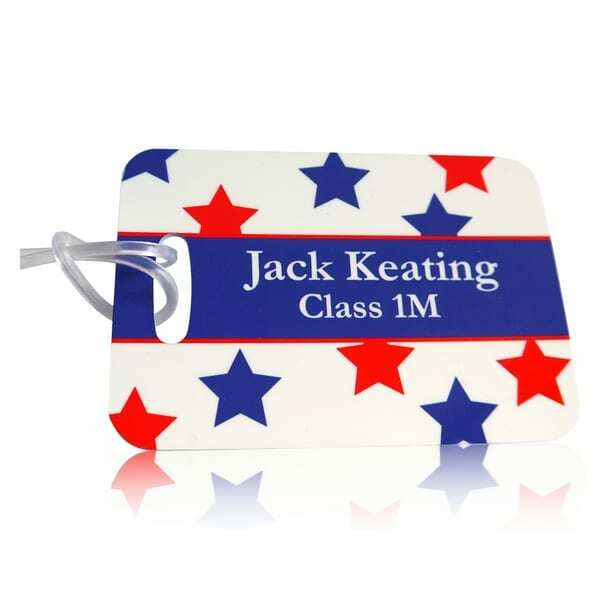 Our heavy duty plastic luggage tags are beautifully decorated with a scattering of stars. We offer 12 gorgeous colours to choose your stars from, and customers may select a maximum of 2 colours. You can even have the same 2 colours. The possibilities really are endless. Your chosen name/text will be printed in the middle of the luggage ID tag in clear easy to read print. Accents can also be printed. Please note that longer the name the smaller the text will appear. Unlike many other companies, our personalised bag tags are printed on both sides. 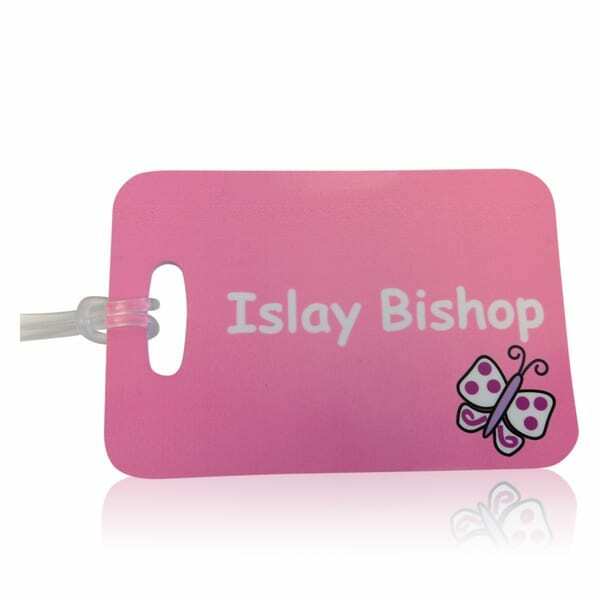 So whether you are looking for luggage ID tags or back pack tags, our funky luggage tags will do the job. After all, in a busy airport, crowded classroom, school gym hall, all bags often look the same. And it's easy to pick up the wrong bag by mistake.